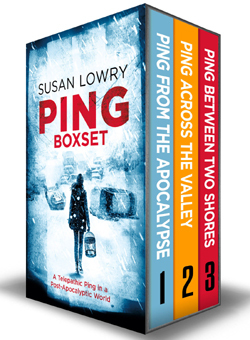 Susan Lowry: Author of the Ping series. 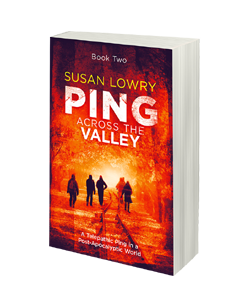 FOR INFO ABOUT SUSAN LOWRY'S UPCOMING BOOKS — FUN FREE STUFF AND OTHER GOODIES — PLEASE JUST TELL ME WHERE TO SEND IT. Books are available in eBook and print versions at ALL AMAZON stores online. You can also currently read them for FREE with a KINDLE UNLIMITED subscription. Or ask your local bookstore to order the paperback or hardcover for you. After a series of traumas in her young life, Lucy has worked hard at staying strong. She may be troubled — but she knows how to survive. It helps that someone with an extraordinary gift is looking out for her. But the world isn’t ready for their kind of secret. 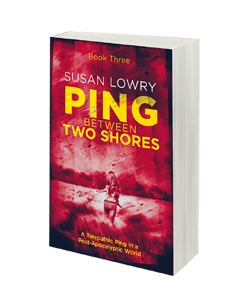 Together they cope, until a terrifying encounter with a dangerous criminal. He must be stopped. But confronting him will take her down a dark path to a place far beyond her wildest nightmares! It’s a shady existence living incognito. 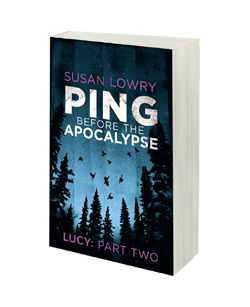 Incriminated for a crime she didn’t commit, Lucy is forced to run. 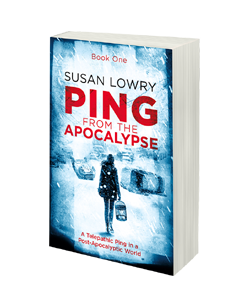 Haunted by guilt and unspeakable trauma, she must leave everyone who cares for her behind. Her new life in Toronto holds the promise of independence and a career she’s always wanted. Finally she has a plan — until something goes wrong with her new roommate. When the plague happens, the evolutionary scale is tipped. An emerging ability to ping could change the face of civilization forever. But first they must survive! 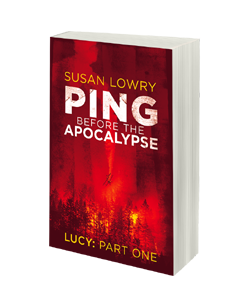 If you like post-apocalyptic survival stories, tenacious heroines, and otherworldly mysteries, then you'll love this heartfelt, science fiction and fantasy saga. 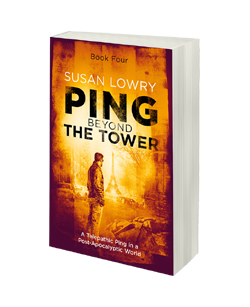 Buy Ping today to test the limits of the human spirit!! !